Almost 10" high (!) 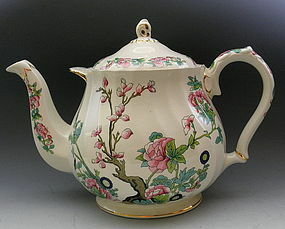 this English teapot made by Sadler may have been used in a store as a display sample. I have seen large teapots like this referred to as buffet teapots. We believe the pattern to be Indian Trail. 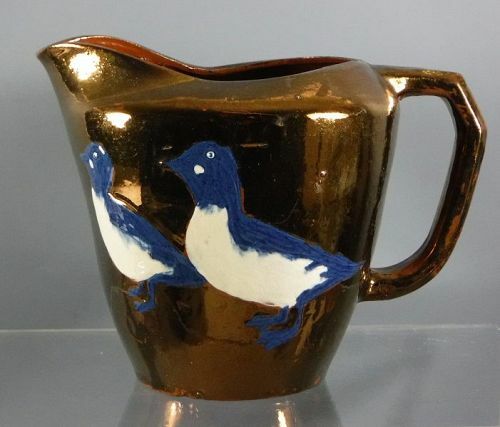 In excellent condition, it measures 9.5" high, 10" in diameter, and 15" spout to handle!